Suffering from a thin beard? Looking for beard growth products that really work? We feel your pain. Going around with a few sorry feathers on your face in the era of bushy beards and stylish goatees is not just sad, it’s humiliating. That’s why men all over the world are looking for ways to rectify the situation. Why Do Some People Experience Beard Growth Problems? For centuries, beards have been a sign of manliness. Boys can’t wait until the puberty comes to start shaving. Men complain about the need to shave and groom their facial hair but do it nevertheless. Lately, beards are experiencing a new wave of popularity. You can’t take a walk or go shopping without seeing a bearded man strutting his goatee or Balbo. But there are some men, who can’t grow a beard no matter how hard they try. They are left with few thin hairs, which usually grow in small patches or no hair at all. So-called baby-faced men lack hair because of certain genes. If you can’t grow a beard, it’s not a testosterone problem, it’s genetics. More than 25 % of men in the world can’t have a beard and they have their ancestors to blame. The majority of beard-free guys are of Asian descent. But other men suffer from this problem too. None of the beard growth products can deal with genetics. Let’s look at it this way. At least they don’t have to spend a fortune on beard grooming accessories. There is a variety of beard growth products available on the market today. Many men use a combination of them while others choose just one to put their trust into. Beard oils – moisturizing and softening properties coupled with skin massage may stimulate beard growth. 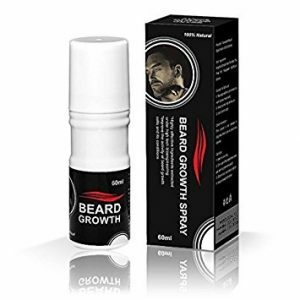 Beard growth supplements – vitamins, minerals, and biotin bring positive results to many men. Minoxidil (Rogaine) – a substance, which can stimulate hair follicles to grow better and thicker beard. Serums – a combination of topical vitamins for improving the skin and hair condition. Facial hair growth products may not work if your body experiences a lack of vitamins. If you want to stimulate quick beard growth, you need to make changes to your diet. By eating small portions of the above products every day, you can enjoy a balanced diet and save yourself from a vitamin deficiency, which can lead to bad hair growth. We wanted to give you a hand in choosing reliable facial hair growth products. We went through dozens of promising options and came up with 7 products, which we believe can help you enjoy a thicker and healthier beard. Let’s take a look! It’s hard to choose the best beard growth product. We would recommend using a combination of the below products to achieve a thicker and more formidable beard. This serum contains all the necessary components to moisturize your beard and stimulate its growth. It strengthens and thickens the existing hair while helping grow new ones. This supplement with biotin can help your organism feel better. Meanwhile, this supplement stimulates hair growth. If your beard problems are due to hair loss, you may want to try this regrowth treatment. It can stimulate weak hair follicles to produce new strong hair. Sometimes men are having trouble growing a beard because their body lacks certain vitamins. That’s where beard growth supplements come in. These beard growth products contain all the necessary vitamins to stimulate better growth. The most important one of them is biotin. This particular supplement has a good content of biotin, folic acid, and an array of other vitamins. It’s hard to say how well this supplement works after only a month of testing it, but its contents are impressive. After a while, men can start noticing thicker beard growth. This product is fairly priced and easy to swallow. This serum contains natural ingredients, including biotin, to stimulate hair growth on your face. If you are having problems with volume and thickness, this product can deal with the problem. Even though the price tag is high, you only need a few drops of the serum every day. The manufacturer offers a 60-day satisfaction guarantee. We liked this nicely scented serum, which does a great moisturizing and softening job on the beard hair. It starts working in about a month of regular use. The hair becomes healthier and stronger. We appreciated the 60-day satisfaction guarantee as well. Rogaine has been on the market for a while and has spiked many heated discussions. Overall, men and women agree that it works in many cases. So why not use it for beard growth? 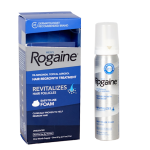 Rogaine rejuvenates hair follicles making them more active. It takes some time for this treatment to work. Some men have to wait up to 2 months to see the results. We liked the idea of using Rogaine products for stimulating beard growth. It may help awaken the sleeping follicles to make a beard thicker but it won’t do anything if these follicles just don’t exist. So this solution may not work for everyone. A beard oil is one of the essential products for good beard growth. Oil moisturizes the dry beard hair while keeping the skin underneath it hydrated and flake free. Oils help reduce hair breakage and allow the beard to grow thicker. 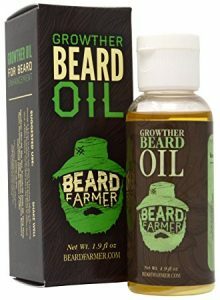 This particular oil product is made with all-natural ingredients to provide good beard growth qualities. Only about 5 drops a day are needed to see an effect. We liked how this oil is easy to apply. It makes the beard softer and reduces the itching. With time it helps the beard grow thicker. The oil has a rather strong smell, which some of our team members didn’t enjoy. The wrong beard maintenance can lead to thin hair, itchiness, and breakage. While some men use regular hair shampoo to wash their beards, it’s important to take a look at specialized products. This shampoo and conditioner set contains natural oils to stimulate moisturizing and softening. These products also contain biotin for hair growth. We liked the shampoo, which had a nice smell and helped moisturize and clean the beard. The conditioner is ok as well but can be replaced with a high-quality beard oil. This set is great for guys, who are testing new methods to improve beard growth. This beard growth spray is similar to the beard growth products that come as oils. Such sprays work to moisturize your skin and stimulate hair follicles. This particular product brings blood to the follicles for better hair growth. The spray contains all natural ingredients and has an appealing smell. The big advantage of this spray is the lack of oily texture and ease of use. We liked having beard oil packed into a spray. It’s easy to use when you are on the go because you are not stuck cleaning your hands. The spray should be used on a regular basis to produce results. This product doesn’t have 100% natural ingredients but it can help thicken the hair on your face. It can easily become your favorite among other beard growth products because it has a slight face lifting effect. It can also be used to improve bald spots, thin eyebrows, and other facial hair. This product has some synthetic ingredients but it helps thicken the beard. It may not help your hair grow in the bald spots, but the existing hair will become bushier. We didn’t enjoy the greasy texture of the product. It’s hard to choose the best value product among these beard growth remedies. After reviewing and testing a variety of products, we believe that Maxx Beard – #1 Facial Hair Solution is one of the most effective options. It moisturizes your skin and beard and helps make your hair thicker and stronger. If you are not among the above-mentioned baby-faced guys and your hair follicles are doing a great job giving you facial hair growth, you can take advantage of below beard growing tips. Use exfoliating products on your face. This reduces dead skin layers and gives follicles more air and better access to nutrients. Use beard oil to massage your face on a regular basis. Massage can stimulate hair growth. Take supplements and/or eat more fruits and vegetables to give your body sufficient vitamins. Vitamin deficiency is a common cause of beard growth problems. Try to stay relaxed and do exercises. Bringing more oxygen to your blood can stimulate hair growth. Add more proteins to your diet. They are essential for quick beard growth. Don’t endure ingrown hair, rashes, and irritation. Quick treatment can prevent hair growth problems. While the beard is growing (at least for the first month), don’t touch it too much. Allow it to grow without grooming and trimming. Drinking more water can keep your body hydrated and stimulate hair growth. Smoking disrupts proper blood circulation and can lead to slow hair growth. Stop smoking. Make sure the facial hair growth products you use contain mostly natural ingredients. Chemicals can cause an allergic reaction and lead to a reverse effect. There is a big variety of beard growth products on the market. Some of them are overpriced. Always check out the ingredients and look for lower-priced alternatives with the same content. Use trial and error method when choosing the right products. Be ready not to see the results immediately. Consider opting for beard growth products made by respectable manufacturers. Think about consulting your doctor before choosing the right beard growth supplement. Read other customer’s reviews about each product you are about to buy. Many products for beard growth don’t work. Check out if the product you are planning to buy contains biotin. It’s the only proven natural ingredient to stimulate hair growth. When choosing the supplements, pay attention to the capsule/tablet count. The bottle may look big but contain fewer pills than you expect. Read the label closely. If you need to use the product more than two times a day, it may not be convenient for you. Minoxidil products have side effects. Read the label carefully. When using beard growth oils, always prep your face accordingly. Start using beard growth products even if all you have is a stubble. Consider using several beard growth products simultaneously to come up with your own special formula. How Many Products Do You Need for Beard Growth? Unless you know the exact reason of your beard growth problems, it’s hard to say which facial hair growth products you need. That’s why you can use the trial and error method. We would recommend starting with massaging your skin with beard oil, following a healthy diet, and buy topical products with biotin. If this doesn’t work, you may turn to supplements or Minoxidil. Please contact your doctor before taking any supplements. Let’s take a look at the way the beard changes after you use the beard growth products. When To Take Beard Growth Supplements? The controversy about supplements is always around. There is no right answer to the question whether or not they help. Meanwhile, there is no scientific evidence that they don’t. In reality, supplements help you grow a beard in case you have some vitamin deficiency. By adding the vitamins you lack to your body, you can see improvements. In case you don’t have a vitamin deficiency (for example, a biotin deficiency), many experts agree that supplements won’t help. However, many men report that biotin helped them grow a thicker beard. We recommend checking if you have a vitamin deficiency before taking beard growth supplements. Are Beard Growth Supplements Real? Beard growth supplements usually contain vitamins and minerals, which are necessary to keep your body healthy. These vitamins are real. However, if you don’t suffer from a vitamin deficiency, you may not feel any effects. 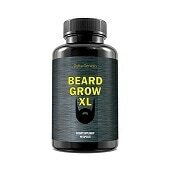 These supplements usually contain biotin, which has been known to improve beard growth. However, it doesn’t work for everyone. Q: Do beard growth products really work? A: Many people report improvements in beard growth. However, some men don’t see any results at all. Q: How fast do facial hair growth products start working? A: Some take up to 3 months of regular use to start working. So it’s important not to give up too easily. Q: Are there certain side effects to using these products? A: There is a variety of side effects that come with taking supplements. Meanwhile, oils can cause an allergic reaction. Always spot test topical products before using them all over your face. Talk to your physician before taking any supplements. Q: Can a patchy beard turn into a bushy facial growth? A: Even if the beard growth product does an excellent job, you can enjoy thicker and healthier hair. However, it’s not reasonable to expect drastic changes. Reviewing beard growth products is a tough job because many of them start working after months of testing while others don’t work at all. We hope these reviews gave you a good idea of what to look for. Let us know if the above products have helped your beard growth.